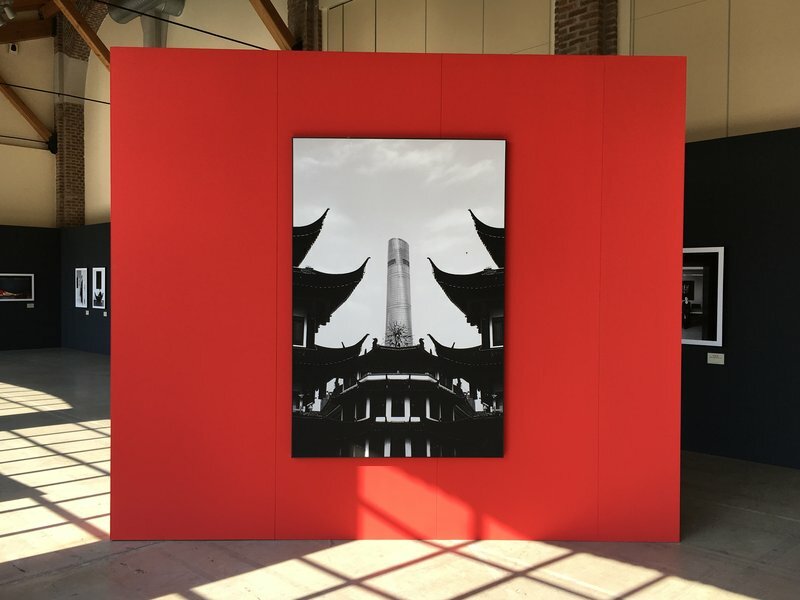 *Introductory image to Giovanni Gastel’s exhibition, representing Shanghai-city “God Temple”. As funnily suggested by the title, inspired by Madonna-Penn’s homonymous movie (Shanghai Surprise, 1986): once upon a time, and for a few centuries, it was opium the “currency” that Britain and other western countries were using to penetrate Chinese market in exchange of porcelain, silk and tea. Goods that had become integral part of Europe’s lifestyle and the newly acquired supremacy of the bourgeoisie. Once upon a time fashion and, by extension, culture were mere arrogation of western powers: the outcome of their civilisation, political democratisation and industrial revolution. Nowadays, like according to a universal karmic law, roles have been ironically reverted. In fact, starting from the 90s, China, once recovered from communist isolationism, has started “to pluck” from European culture and technologies to reach its recent super-power rank. Specifically, Shanghai, one of the most strategical Chinese municipalities, the most populated city in the world (over 25 millions people), global financial centre and busiest container port: is the example of the most clever fusion between east and west. This process basically meant absorbing western knowledge and then adding to it a millennial heritage to elevate it to a superior status. It is under everybody’s eyes nowadays, in London, the appearance of young ambitious Chinese fashion students living in central expensive condos or personal shoppers popping in all main luxury stores of the shopping districts, massively affecting the sales of all international high-fashion brands. Just to give you an example, every main retailer has now the requirement to hire Chinese speaking sales associates in order to accommodate the requests of this peculiar market. 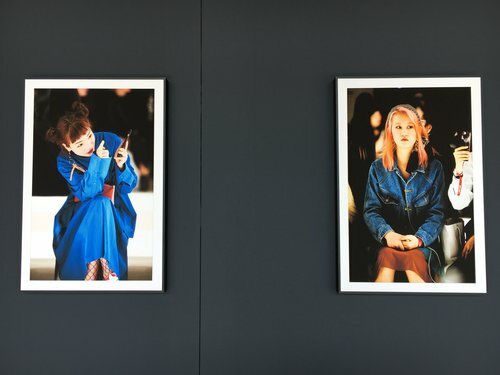 Not only London but the Italian fashion-business capital, Milan, has shown interest in Chinese fashion by hosting, during last fashion week, a photographic exhibition created by famous Italian photographer Giovanni Gastel and sponsored by Shanghai Fashion Chamber. The temporary gallery is located in an ex-industrial space, “La fabbrica del vapore” (Steam Factory), in the vicinity of Paolo Sarpi Street, the Milanese “China-town”, where a multitude of independent boutiques showcase their colourful, un-expensive garments. As we can read in the exhibition leaflet, Mrs. Xiaolei Lyu, vice-secretary of Shanghai FW, comments: “We are proud to show this narrative from our world. 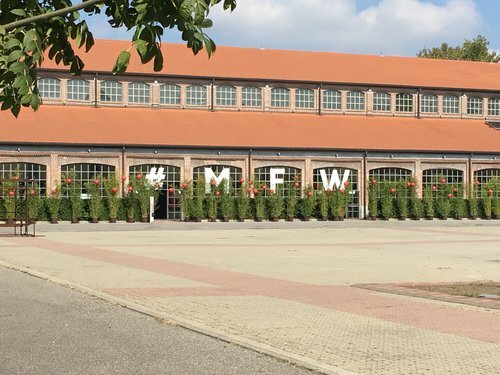 The Shanghai FW is becoming an appointment of international relevance and we thank the Italian Fashion Chamber in supporting us with this exhibition. The fact to be present in the rich and important Milanese calendar stands for a further confirmation of the growth and the value of our fashion community in the international scene”. Walking through the show space, in a beautiful Italian late summer day, I couldn’t avoid noticing the implicit message of beauty and universal harmony expressed by every photo. A perfect merge of past and future, tradition and innovation, timeless aesthetics and experimentation. Angel Chen, Dido Liu, Chris Chang, Liushu Lei & Yutong Jiang, Percy Lau and many others: represent the new class of young designers protagonist of Shanghai Fashion Week. 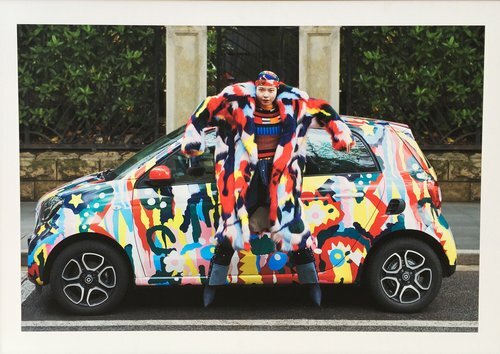 Together with them: portraits of front-rowers, bloggers and other fashion personalities constitute the main body of Gastel’s work. They all may seem “cartoonish”, endearing in their frenetic body language (often shown “in-symbiosis” with their smart phones) and, in many ways, different from what we have always been used to attribute to traditional fashion so far. Regardless, they all have become the most influential subjects to look at to understand the future development of worldwide trends. *Portrait of Chinese designer Angel Chen, by Gastel. 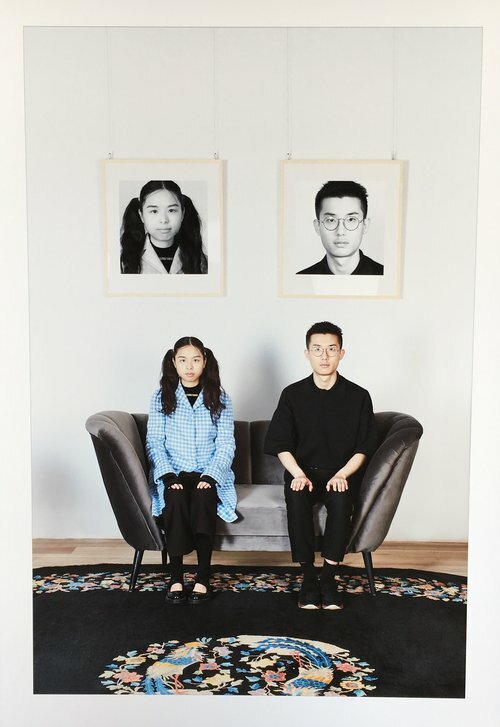 *Portrait of designer duo Liushu Lei & Yutong Jiang, by Gastel. *”Front-rowers” at Shanghai fashion week, by Gastel. Want to know more about Luca Scamoni?